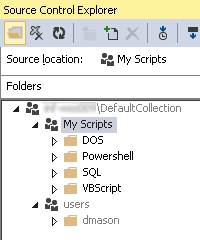 What's In Your SQL Server Library? In the last post, we explored a couple of examples of using Extended Events to enhance T-SQL error handling. There was some potential there. But a hard-coded SPID was necessary: we couldn't use the code examples for anything automated. It was cumbersome, too. Let's change that, shall we? In the previous post, I examined a couple of error handling scenarios in T-SQL that don't work as expected with TRY...CATCH. The first problem involved multiple errors for a single statement in the TRY block: when control transferred to the CATCH block, only one error was accounted for. The second problem involved multiple errors caused by DBCC CHECKDB on a corrupt database. The TRY block "ate" all the errors and control never transferred to the CATCH block, leaving the impression there were no errors at all. Now let's look at a way to enhance error handling with Extended Events to overcome the shortcomings of TRY...CATCH for the two scenarios. I've known for quite a while that there are issues with TRY...CATCH for T-SQL. I've had my share of frustrations with it, and I am clearly not alone. Just check out some of these Microsoft Connect items: 1 2, 3, 4, 5, 6, 7, 8, 9, 10. Five of them are Closed As Won't Fix, three of them are Active (all three were opened more than 8 years ago), and the other two are Closed By Design.